This magnificent basket brimming with some of our gourmet favorites is one our most popular gifts. The collection starts with juicy, sweet Royal Verano® Pears grown in our own orchards, along with crisp apples. 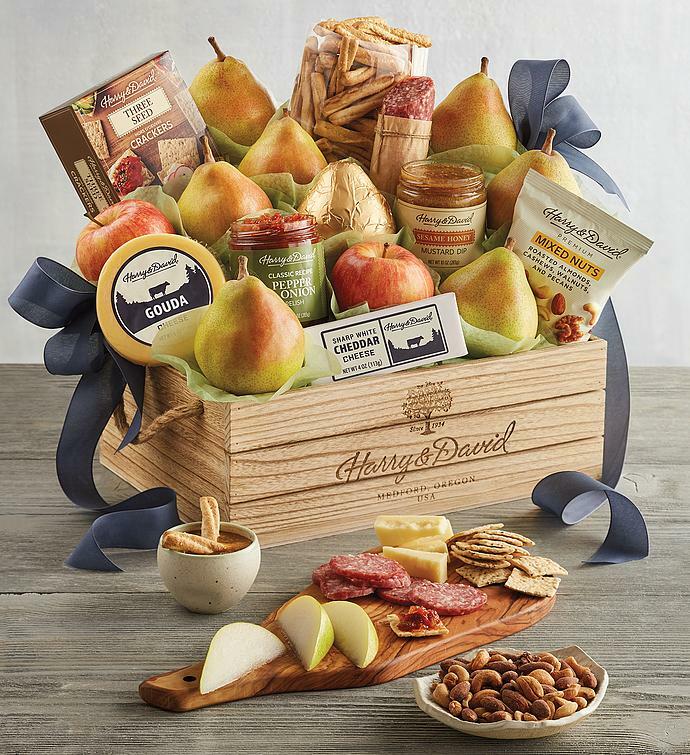 An assortment of gourmet treats such as artisan cheese and dry salami rounds out the treats tucked into the reusable, rope-handled wooden crate. The gift is topped off with a hand-tied bow.